My inspiration for this painting was from Klimt's The Kiss. The background is gold leaf as well as some details in Frida's dress. Very hard to see in a photo. 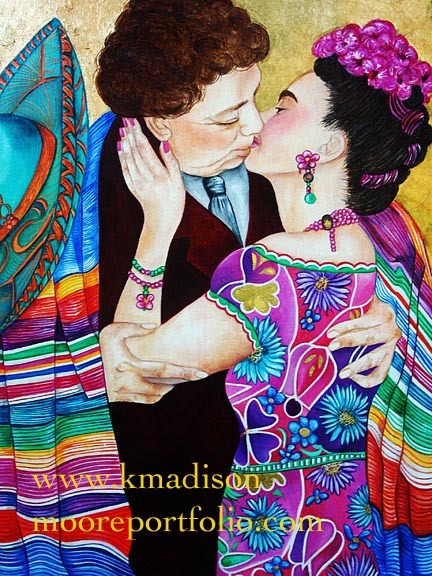 Diego wraps them in his brightly colored Serape and embraces Frida with a kiss. 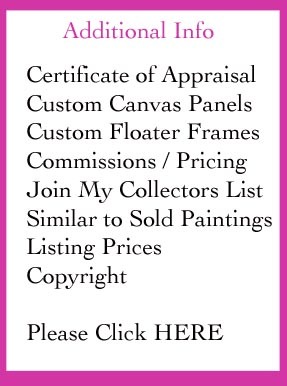 It is a great size of 18" x 24" oil painting on canvas.